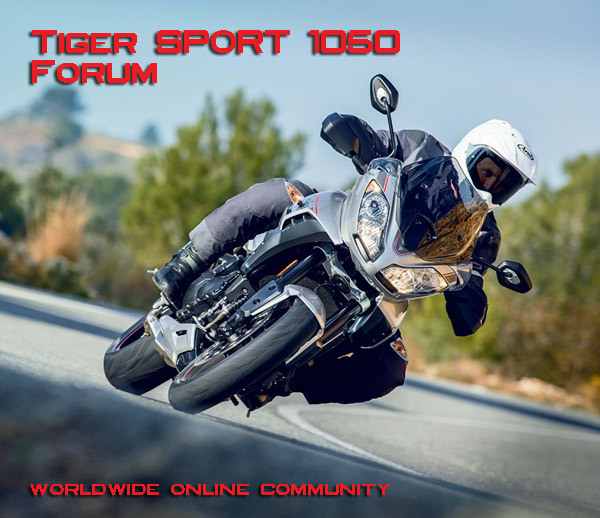 This totally independent site is devoted to the Triumph Tiger Sport 1050 that originally made it's debut back in November 2006 as one of the new models in Triumph's 2007 line up - a 1050 cc inline triple that evolved from the Tiger 955i. The site is the ultimate information resource for the Tiger Sport 1050. We have over 11,000 members worldwide and around 400,000 posts in the 'Forum'. We also have technical information, articles, a members picture gallery, and importantly, a wealth of experience from owners worldwide, making this the number one motocycle club for the Tiger Sport.